Great 4 bedroom vacation home with WiFi, southfacing pool only minutes away from Disney at Indian Point for up to 8 persons. 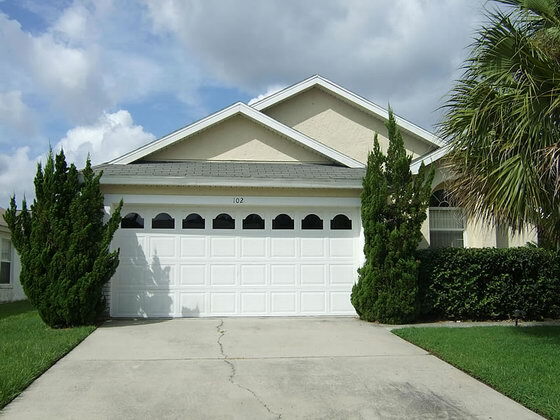 Welcome to our beautiful privately owned Florida vacation villa which is situated on the Indian Point development in Kissimmee, only 10 minutes drive from all main Disney Attractions and 25 minutes from Orlando International Airport. Our 4 Bedroom, 2 Bathroom villa benefits from having a South Facing Swimming Pool and Separate Children's Pool for younger guests, Games Area, Games Console and Wi-Fi. The villa is centrally heated /air conditioned and is superbly furnished to accommodate up to 8 people + Baby. We provide all towels, bed linen, beach towels, a cot / crib with bedding and a highchair. actually, I love the town, all facilities of the house were great, really recommend it ... sincerely thank you very much on behalf of my family.